Zhu Y, Lyapichev K, Lee DH, Motti D, Ferraro NM, Zhang Y, Yahn S, Soderblom C, Zha J, Bethea JR, Spiller KL, Lemmon VP, Lee JK (2017) Macrophage Transcriptional ProfileIdentifies Lipid Catabolic Pathways That Can Be Therapeutically Targeted afterSpinal Cord Injury. J Neurosci 37:2362-2376. Hong LTA, Kim YM, Park HH, Hwang DH, Cui Y, Lee EM, Yahn S, Lee JK, Song SC, Kim BG (2017) Aninjectable hydrogel enhances tissue repair after spinal cord injury bypromoting extracellular matrix remodeling. Nat Commun 8:533. Hackett AR, Lee JK(2016) Understanding the NG2 Glial Scar after Spinal Cord Injury. Front Neurol7:199. 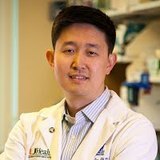 Funk LH, Hackett AR, Bunge MB, Lee JK (2016) Tumor necrosis factor superfamily member APRILcontributes to fibrotic scar formation after spinal cord injury. J Neuroinflammation13:87. Zhu Y, Soderblom C, Trojanowsky M, Lee DH, Lee JK (2015) Fibronectin Matrix Assembly after SpinalCord Injury. J Neurotrauma 32:1158-1167.